A 15-metre fire & rescue boat destined for the Miami-Dade Fire Department tests its pumping system on the Cataraqui River near Metalcraft Marine, where the boat was manufactured. The $1.3-million boat will be shipped next week to Florida. 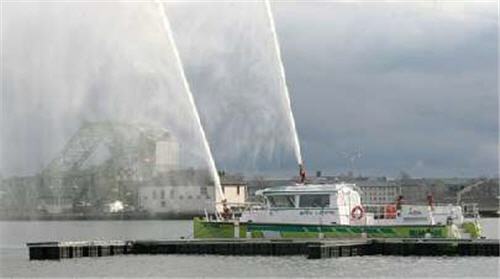 They expect to ship two more fire boats in the near future.